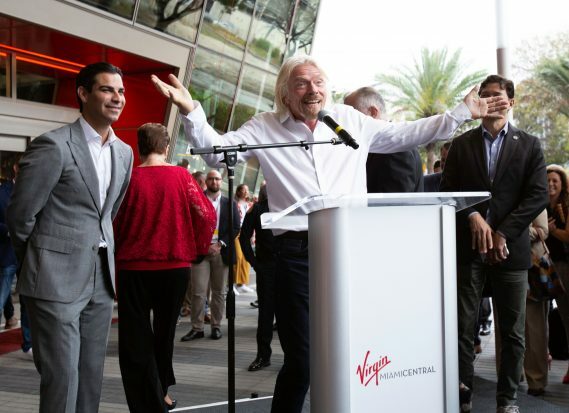 Richard Branson and Virgin Trains USA President Patrick Goddard unveiled Virgin MiamiCentral and revealed the first visuals for Virgin Trains USA. 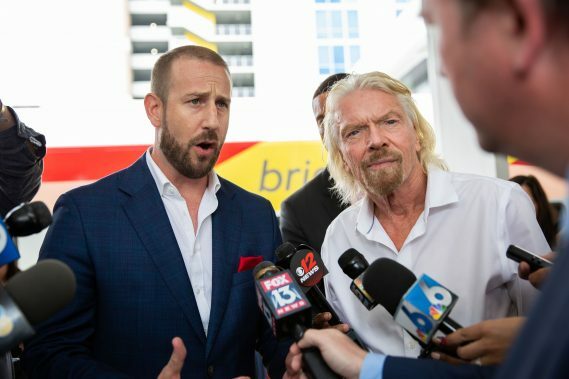 Branson and Goddard, along with City of Miami Mayor Francis Suarez and Miami-Dade County Commissioner and Chair of the South Florida Regional Transportation Authority Esteban Bovo, Jr. gave remarks at the ceremony that touched on topics including transportation, mobility, the future of train travel and Virgin Trains USA, economic impacts and more. 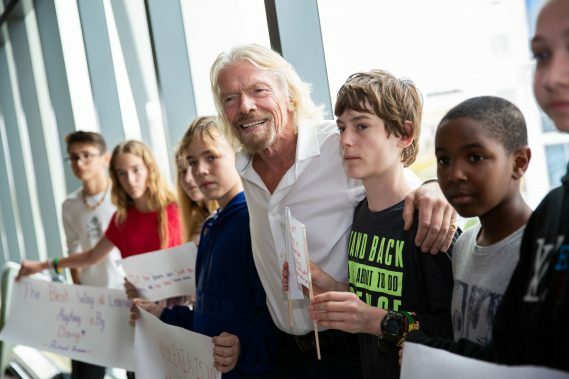 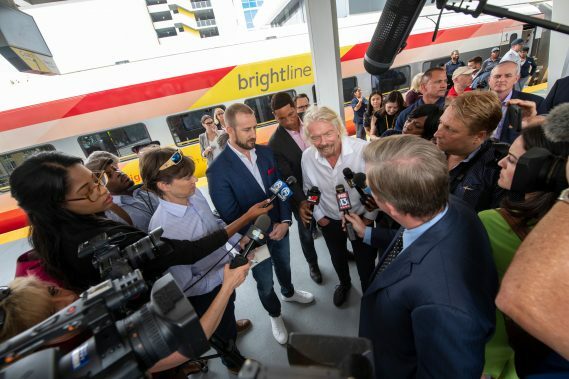 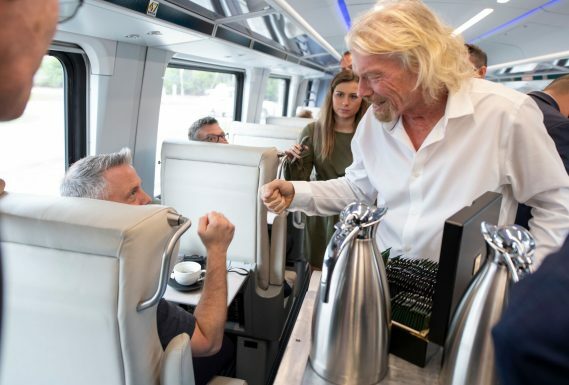 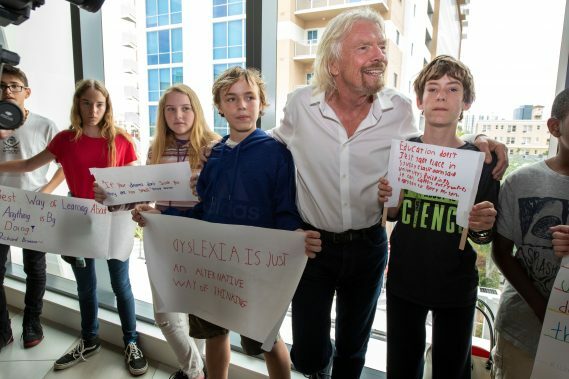 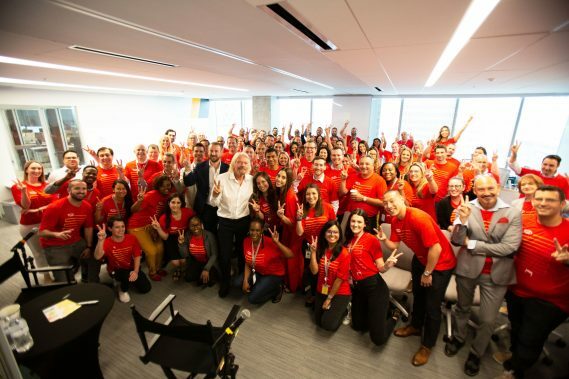 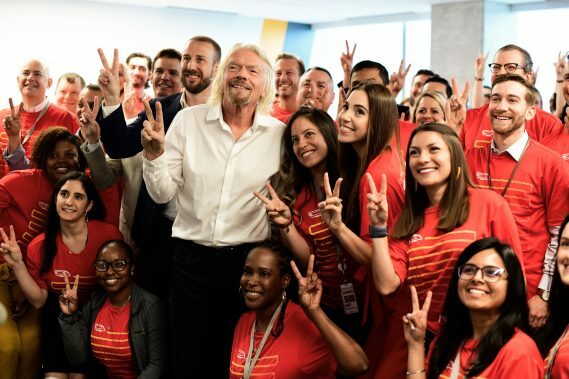 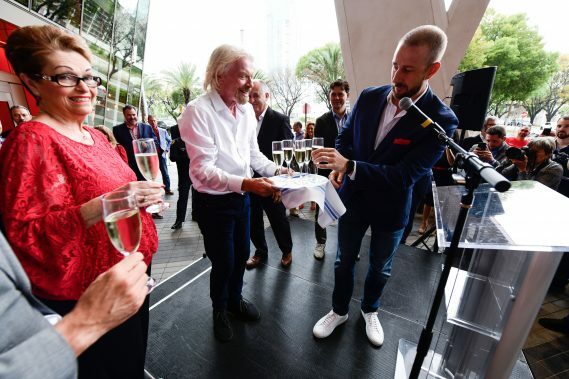 The celebration marked the first significant moment in Brightline’s transition to Virgin Trains USA. 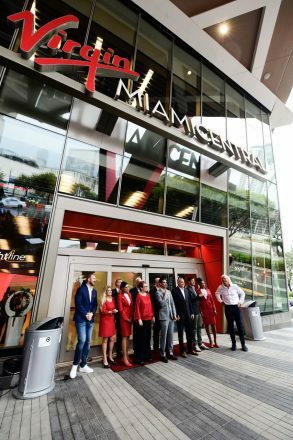 Virgin MiamiCentral is the hub for all things transportation, business, dining and entertainment in downtown Miami. 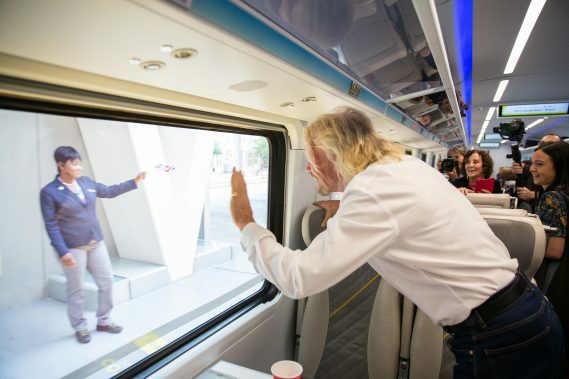 Connecting Metrorail, Metromover, Brightline and soon, Tri-Rail, the destination offers unparalleled transportation options for the millions of commuters, visitors and travelers who will be accessing the station. 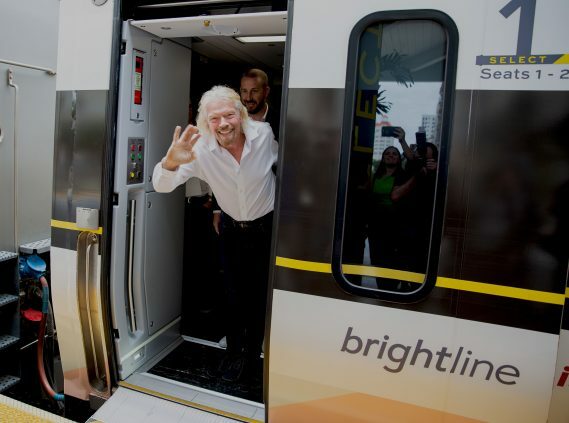 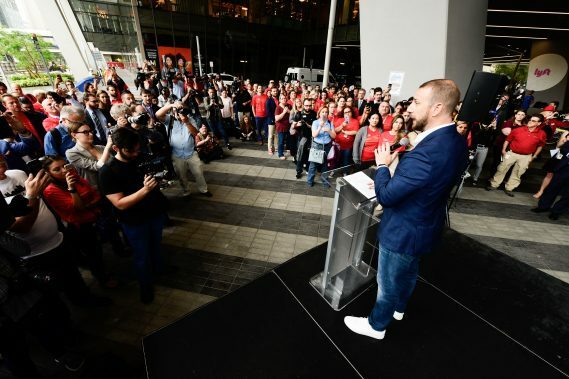 Virgin MiamiCentral also features Central Fare, Downtown Miami’s food hub that will soon debut, a Citi Bike share and designated drop-off-and-pick-up zone for Lyft, Brightline’s official rideshare partner. 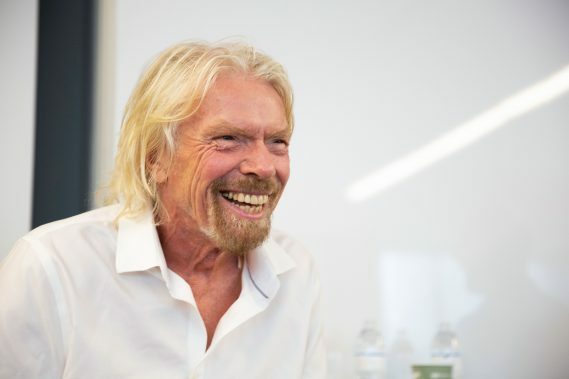 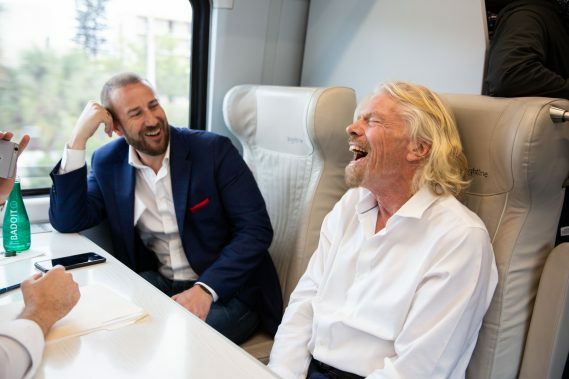 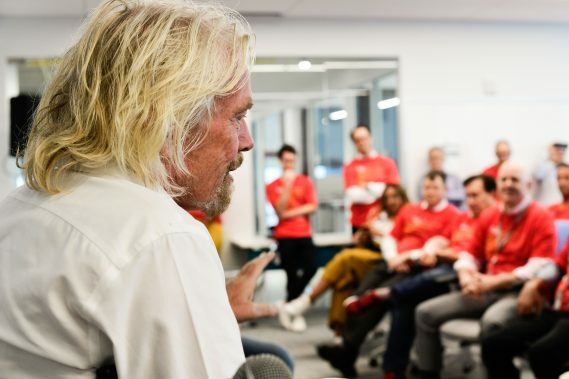 In November 2018, Brightline announced a strategic partnership and trademark licensing agreement with the Virgin Group, one of the world’s most recognizable brands in travel and hospitality. 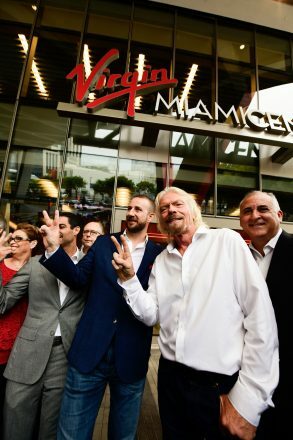 Executing a phased approach to the rebrand to Virgin Trains USA in 2019, Virgin MiamiCentral is the first element to feature the new Virgin branding. 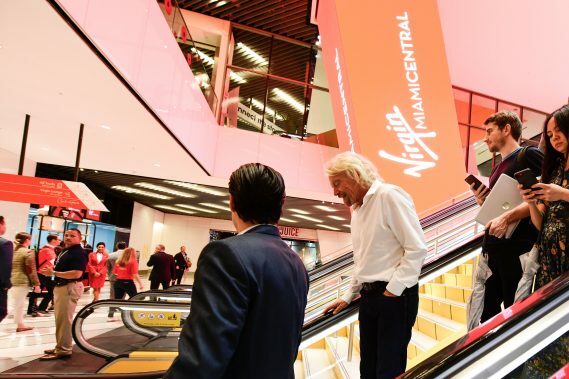 The station’s new Virgin branding comes in advance of the opening of Central Fare, a collection of restaurants and bars that is housed within the development. 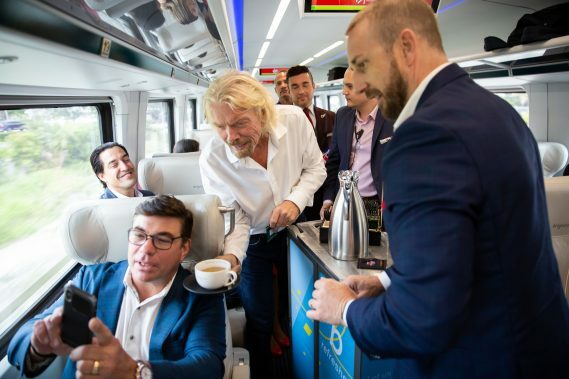 Poised to reinvent train travel in the United States, Virgin Trains USA is the express inter-city passenger rail service that currently connects Miami, Fort Lauderdale and West Palm Beach, with expected future service to Orlando and Tampa, and between Las Vegas and Southern California.